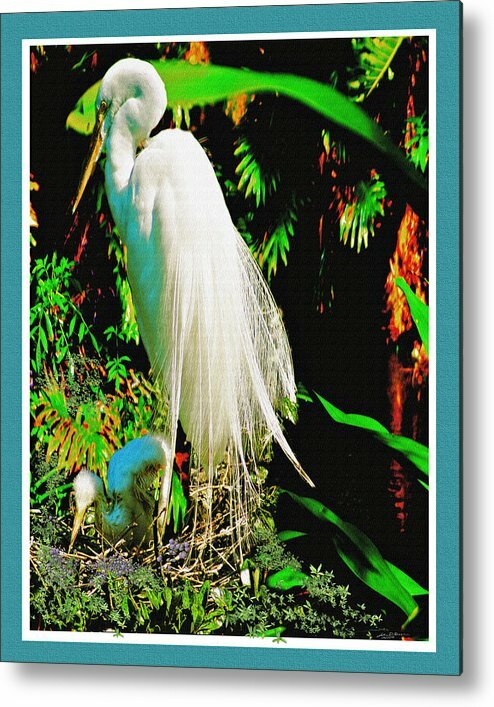 Egret3 by John Breen - 6.375" x 8.000"
Egret3 metal print by John Breen. Bring your artwork to life with the stylish lines and added depth of a metal print. Your image gets printed directly onto a sheet of 1/16" thick aluminum. The aluminum sheet is offset from the wall by a 3/4" thick wooden frame which is attached to the back. The high gloss of the aluminum sheet complements the rich colors of any image to produce stunning results. 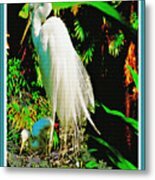 There are no comments for Egret3. Click here to post the first comment. JOHN D. BREEN I HOLD A BFA IN INDUSTRIAL DESIGN FROM THE CLEVELAND INSTITUTE OF ART, CLASS OF ''73. AFTER WORKING FOR MURRAY-OHIO MFG------RUBBERMAID--------EVENFLO BABY PRODUCTS------AND-- CLOSETMAID--- I AM NOW ON MY OWN DOING FINE ART AND DIGITAL ART. 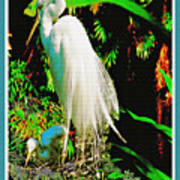 I AM A MEMBER OF THE PLEIN AIR PAINTERS; THE OCALA ARTIST GROUP; AND THE OCALA DIGITAL ART MASTERS (ODAM). I HAVE BEEN DOING CUSTOM AUTOMOTIVE ART,(PORTRAITS OF YOUR CAR), FOR OVER TWENTY YEARS AND HAVE RECENTLY STARTED DOING EQUESTRIAN, PETS AND WILDLIFE PORTRAITS. MOST OF THE WORK PRODUCED WAS COMMISSIONED SOME WERE DONE AS EXAMPLES FOR EXHIBIT AND ARE FOR SALE.